Palma Holding among the who’s who of the UAE real estate industry at last night’s Infrastructure and Real Estate Awards ceremony organized by Khaleej Times. 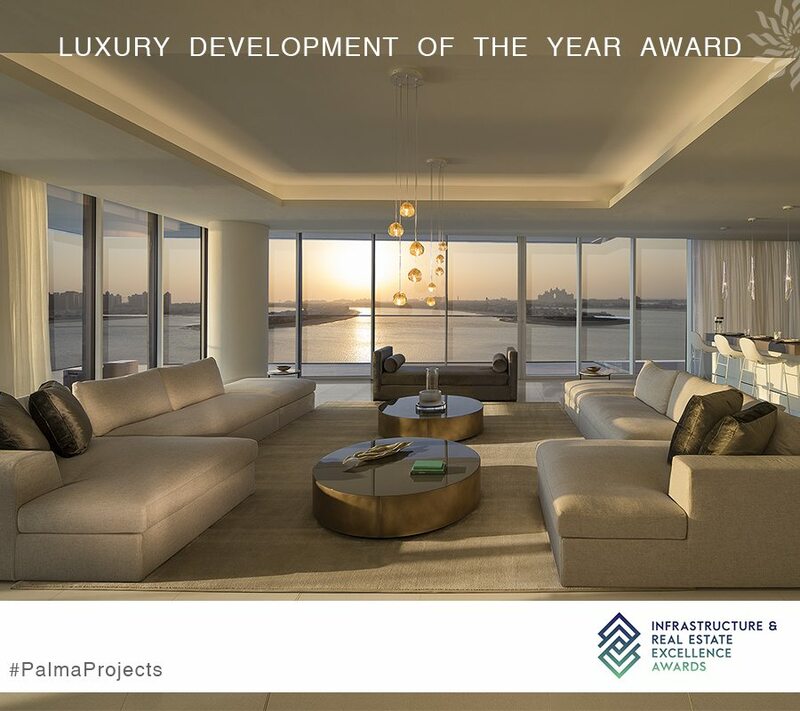 Palma also received an award for ‘ Luxury Development of The Year’ for its luxury beachfront project – Serenia The Palma. Serenia Residences which launched in 2015, is in its final stages of completion with handover anticipated by the end of this year. “We are happy to recognize and facilitate those who have contributed to its excellence here in the country. Homes, offices, malls, theme parks. these are much more than just residential or commercial spaces. These are the heart and soul of the city. Our awards, therefore, focus not just on business and economics achievements – they look at the effects such businesses have on the way we live, work and play here in Dubai and across the UAE. The jury benchmarked the projects against the best-in-class globally, and we are so proud to say that Dubai real estate and infrastructure is second to none in the world,” Vicky Kapur, Associate Editor of Khaleej Times, said.